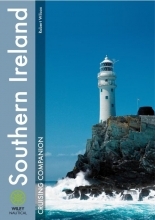 Loaded with stunning aerial photos and charts, this is the essential onboard guide to cruising on Ireland`s southern coast--with tips on every entrance and harbor as well as local culture and history. Useful information for overseas visitors. Chapter one Kilrush to the Blaskets. Chapter two Dingle to the Skelligs. Rath Strand and White Strand Bays. Chapter Six Long Island and Roaringwater Bays. Croagh Bay, Colla Quay and Long Island Pier. Chapter seven Baltimore to Kinsale. Barloge Creek for Lough Hyne. Tralong Bay / Mill Cove. Chapter eight East Cork Coast.